Ella Dee Gordon was born on May 25, 1929 in Miami, FL. She died on Thursday, March 21, 2019 at the age of 89 years 10 months old. She died peacefully at her residence with her family by her side. Dee is preceded in death by her late husband, Blanchard Benjamin “B.B.” Gordon. Dee is survived by her two children, Ken E. McWilliams of Mobile, AL and Kathy M. Kurazawa of Savannah, GA; her grandchildren, Rita Kalifeh-Teel of Savannah, GA, Kenny McWilliams, Cher Mundell, Michelle Cranford, and Michael McWilliams all of Mobile, AL. She had six great-grandchildren; a niece, Shirley Elmore of Cocoa, FL; a nephew and niece, George “Buster” Clark and Nancy Clark of Columbus, GA; her very close friend, Kathy Ford; friends from Dauphin Island, AL where she resided for many years and friends from Brookside Retirement Community where she resided the last four years of her life. When Dee lived on Dauphin Island, she was very active and Chairwoman of the Beautification Committee. She was instrumental in planting palm trees all along the streets and spearheading the Yard of the Month Club. She was also the Chairwomen of the Dauphin Island Women’s Club Bikeathon Committee for many years to raise money for St. Jude’s Children’s Hospital. 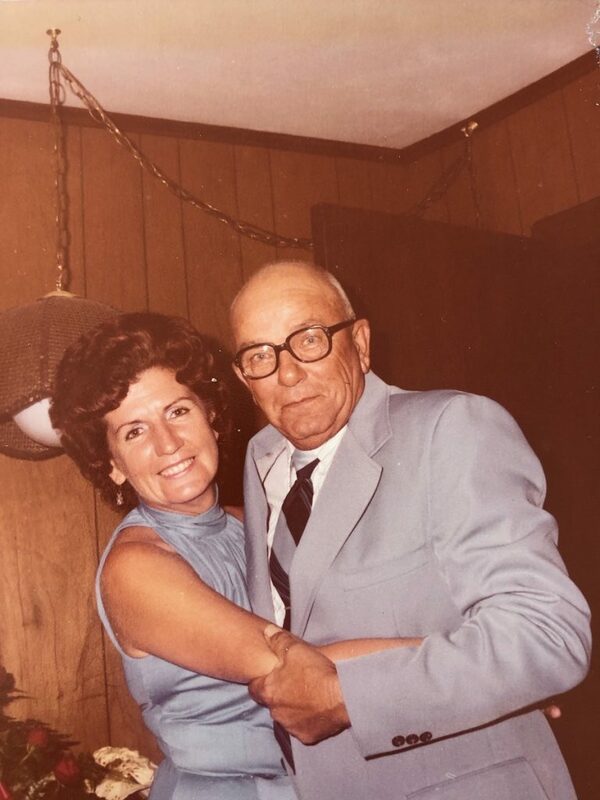 Dee was an avid fisherman with her late husband, B.B. Gordon, winning a second-place trophy for the largest red snapper at the Deep-Sea Fishing Rodeo in 1980. Dee will be missed by her family and friends. There will be a private service for family and close friends at a date to be determined. Expressions of condolence may be offered at www.hughesfh.com. Hughes Funeral Home in Daphne, AL is assisting the family. Even though I only met Dee a few times I knew a lot about her through her granddaughter Rita. They had a special bond. Seems Dee and I shared the same birth date but I only learned that by reading her obit. When we visited we talked a lot about Rita. I am so happy that I got to spend some time with her. It is so sad losing a loved one but keeping her memory alive in your heart forever will insure you stay close. I smile thinking of some of the things we talked about. Find comfort in knowing she is resting with God and in peace. peace Dee, your work on earth is complete and the world is a better place for your being here. To Dee’s family, I’m so sorry for your loss. She was a wonderful woman and I loved her. She and I had so many good times together either planning Parks for the kids on the Island or just being together. She will be missed. I pray that our PRECIOUS SAVIOR will give you all healing and ease at this time.